Henri-... was a French artist, known for his use of colour and his fluid and original ["style"] Matisse is commonly regarded, along with Pablo Picasso and Marcel Duchamp, as one of the three artists ... responsible for significant developments in painting and sculpture [in the post-impressionist era]... His mastery of the expressive language of colour and drawing, displayed in a body of work spanning over a half-century, won him recognition as a leading figure in modern art. "In 1901, the year in which this work was painted, a retrospective exhibition was held in Paris of the work of van Gogh, who had died in 1890. The exhibition was to have an important influence on young artists and the colouring in this painting may owe some debt to a visit to the exhibition. 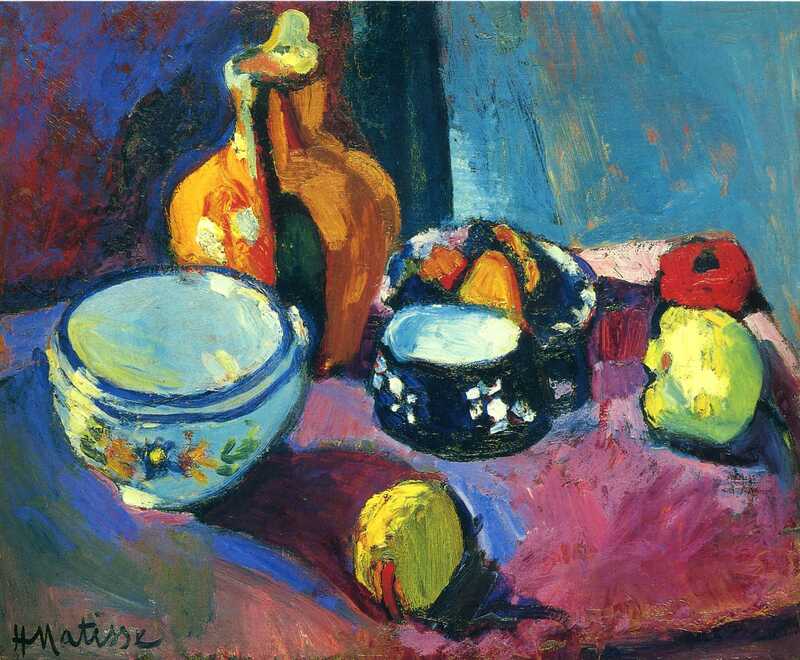 Matisse's development in this direction, however, was already predetermined by his unique gift for colour." Madras Rouge, The Red Turba, 1907, Barnes Foundation. Exhibited at the 1913 Armory Show ... The woman depicted is the painter's wife, Amélie Noellie Parayre Matisse.